My biggest pet peeve is visiting a soft play, ordering myself a coffee and it tasting vile. Honestly, I can't stand cheap coffee and a rubbish cup of coffee has definitely put me off re-visiting a few local soft plays in the past. I can't remember where it was (maybe Butlins?) but I once visited a soft play where there were staff stationed inside of the soft play on all levels. They were playing with the kids, checking they weren't too unruly, helping any little ones over obstacles and basically supervising. I am not the sort of parent who enjoys following my kids around soft play and much prefer sitting with a coffee and watching from a distance and my dream soft play would definitely offer this. We've all been in those grubby soft plays filled with stains where your feet stick to the floor and everything's just a bit sticky. Again, a grim soft play really puts me off. I love hearing about a soft play's cleaning policy and visiting somewhere spick and span is high up on my list of priorities (but underneath coffee). As somebody who works from home, taking the kids to soft play has always been a good option for me if we need to get out of the house and I have a deadline. Kids can play and I can finish my work. I see parents working in soft play fairly often now and would love to see this more accessible - free, decent WiFi and laptop tables would be great. 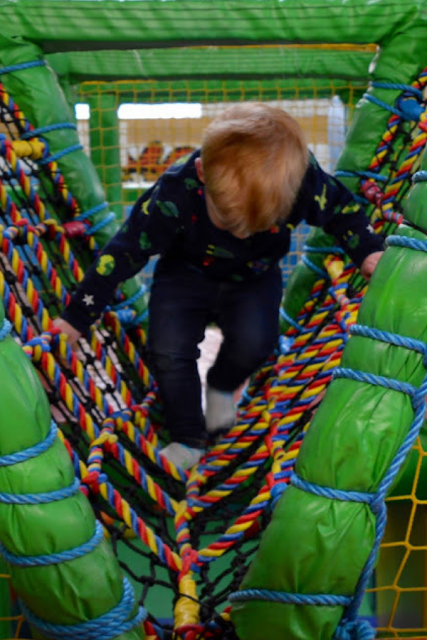 There are always lots of toddlers dashing about soft play and if I'm carrying a hot drink or have one on a table, I always live in constant fear that it's going to get knocked over and cause an accident. Similarly, for kids I'd love to see cups with lids rather than plastic beakers to cut down on spillages. I don't understand how cooking a decent, healthy meal for kids is so difficult. Many soft plays seem to put zero thought into their menus. Some are fab though and our local soft play TJs Jungle is renowned for their fabulous chicken nuggets - so much so that they had to start serving an adult portion. When I visit TJs I nearly always order the kids and myself) food as they have a lovely range of homemade healthier options too. Whereas the soft plays where everything is of poor quality and deep fried are the places I try to avoid. I refuse to visit soft play over a weekend (unless it's a party) and I'm firmly in the 'it's a treat after school' camp but now the kids have after-school clubs etc... I am finding that it's all a bit of a squeeze. Many soft plays close at 6pm during the week and require you to check in by 4pm. Even those which are advertised that they open later will often close early. I'd love to see some soft plays open until 7-8pm on weeknights. Once we get sorted it's often 5pm before we can think about heading out anywhere and I think later opening hours would encourage older kids to visit and get some exercise too. Why are soft plays always so freezing? With all of the technology available to control temperature, so many places still get it wrong. A soft play centre where I don't need to wear my coat is always going to be a winner with me. 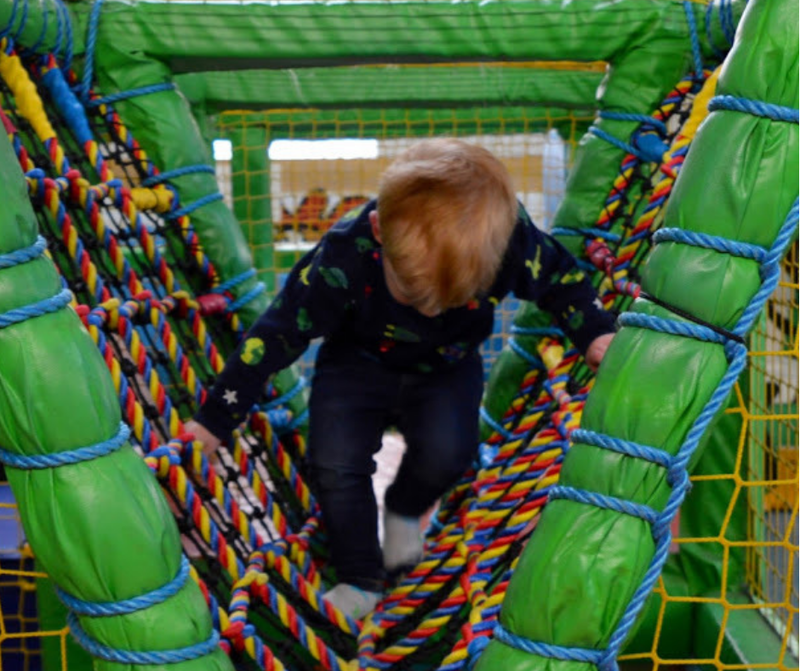 I'm a bargain hunter and can't believe how much soft play centres vary in price. Some are as little as £3.50 and others can be as much as £10. There's a huge difference in costs, especially when you're paying for 3 kids. I refuse to pay almost £50 to visit soft play and have something to eat and always look for special after school offers and deals to keep the costs down (if you live in the North East, check out this thread for a few ideas). Ball pools fill me with fear. Especially so with toddlers. I don't know if it's a throw-back to my own childhood and the rumours that there were snakes in the ball pools at Dickinson's soft play but when my kids were toddlers, I constantly worried they were going to be suffocated or trapped in here. I'd love to hear what's on your list and what you look for in a soft play. Where is your favourite? I don't like ball pools either. You never know what's in them. Eww! No you don't know what's in them do you - I think that's part of the fear!